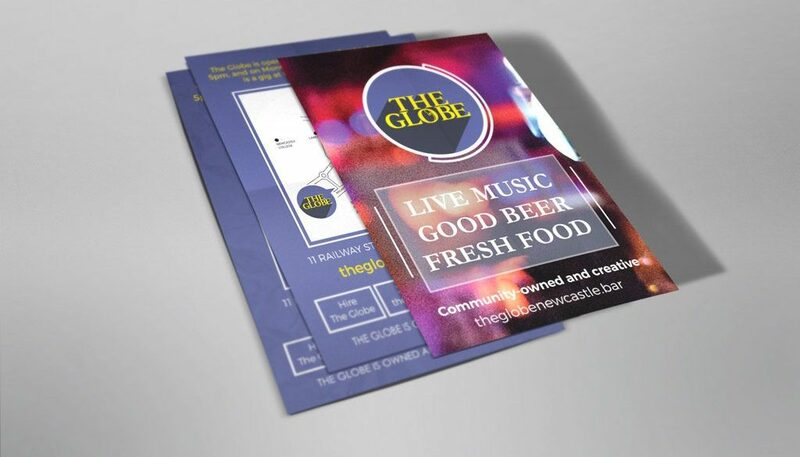 Alpha designed a new brand and website for The Globe in Newcastle. First of all, we asked the question: Who would go to The Globe? This lead to researching colours for the brand, settling on a stunning gold, sharp purple, and a gorgeous deep grey. While this is such a small task, it’s always our favourite and the most important. The iconic Newcastle venue recently bought by the Jazz Coop is a testament to cooperative values. Cooperative ownership ensures that The Globe will continue to be a place where people can enjoy live music in a relaxed environment. The Globe hosts a wide range of gigs and various music and dance workshops and courses. And is available for jam sessions.